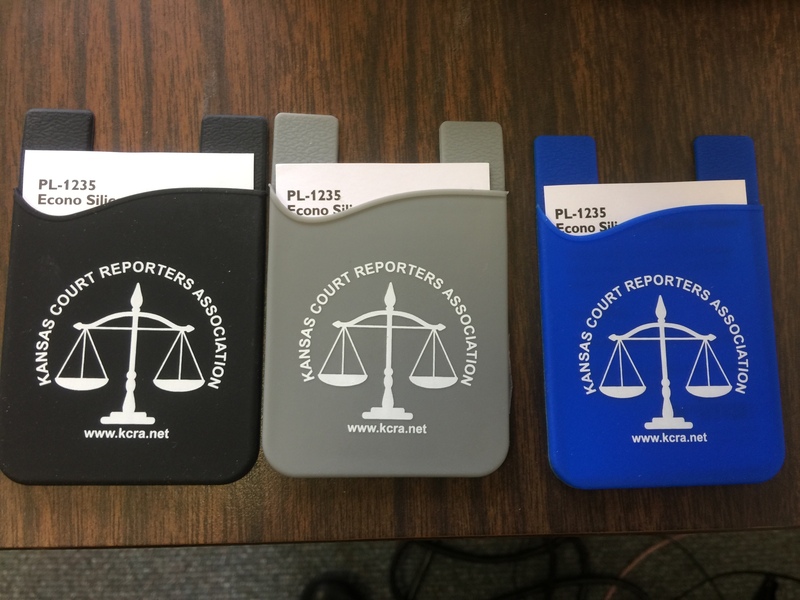 Cell phone credit card holders - black, grey or blue - FLASH SALE May pick up at convention June 7-9, 2018 with no shipping costs or you may make arrangements with another court reporter to pick up for you at convention OR pay shipping/handling costs of $2.00. Please hit the $2 shipping button if you want shipped. You may purchase up to 2 with the same shipping costs. If ordering more than 2, add an additional $2 shipping button for each 2 thereafter. Email kcra.treasurer@outlook.com to indicate what colors you want after payment.